The Russian government wants to require Russian operators to re-register their Western-built aircraft under the country’s jurisdiction, a move that seeks to end the long-standing practice that Russian airlines—government-owned and privately held ones alike—register their non-Russian-built aircraft abroad. Speaking at the recent Wings of the Future conference in Moscow, Russian deputy minister of transport Aleksander Yurchik said the decision has been made and only details need to be worked out. “We are very capable to maintain airworthiness in this country. I expect that at the end of the transitional period a lot of non-Russian carriers will want to register their aircraft here,” he noted, while recognizing the industry harbors reservations about the implications of the planned policy shift. “A mutually acceptable situation will be found,” he insisted. “I’m not against it. It is important for the prestige of the country,” Red Wings Airlines CEO Evgeny Klyucharev told AIN. The government remains in talks with the industry on how to proceed, he said. “Hopefully we will find the right solution,” he added. Red Wings leases its fleet of Airbus A320s from international financiers and has registered them abroad, he confirmed. Russian airlines typically register their Western-built aircraft in Bermuda or Ireland. Aeroflot registered all of Aeroflot’s Boeing and Airbus aircraft, which account for the vast majority of the Moscow Sheremetyevo airport-based flag carrier’s fleet, in Bermuda. 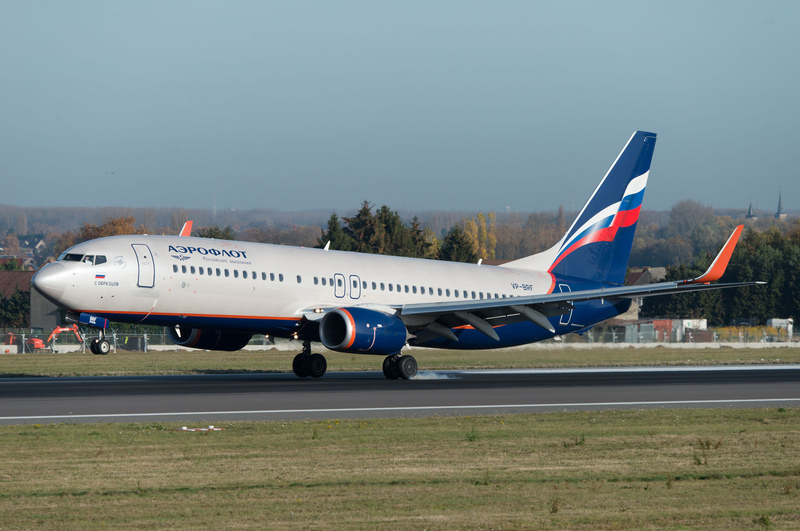 Aeroflot told AIN it would not comment on the proposed measure and what a prospective de-registering from Bermuda and re-registering of more than 150 Western-built aircraft under Russian jurisdiction would entail—legally, financially, and administratively. International lessors remained equally tight-lipped. “Gecas has been aware of the proposal for quite some time and we are monitoring closely. As no plan is yet in place, we have yet to determine what the impact for lessors will be,” a spokesperson for the leasing company told AIN. GECAS has leased several Boeing and Airbus aircraft with Russian operators, including Aeroflot and Volga-Dnepr. By registering their Western-built aircraft abroad, Russian carriers avoid high import taxes. Other reasons airlines, aircraft financiers, and lessors traditionally refrain from putting their assets under the RA flag include airworthiness standards and the Russian political climate. “I can accept that lessors should be careful,” Victor Snegirev, an aviation and assets finance lawyer with AviaLegalServices, told AIN. “There are discrepancies between the Russian airworthiness rules and practices and these of the FAA and EASA.” The task to harmonize the local rules to international standards is “ongoing,” he said while acknowledging that the ability of the relevant Russian authorities to communicate in English also remains an issue. However, lessors are reluctant to do so out of fear they could not repossess the aircraft in case of dispute, Snegirev conceded, although he pointed out that Russia has signed the Cape Town Convention in 2011. Snegirev opined that the current system has worked well and noted that the “Russian register has not been well tested over the years.” But national prestige ranks as an important consideration. “The political decision [to require Russian operators to bring their Western-built aircraft on the RA registry] has been made, supported by the government’s view that Russia is a great aviation power,” he said.